Oliver Twist. ( Ab 10 J.). Oliver Twist. ( Ab 12 J.). Oliver Twist. ( Ab 11 J.). The ADVENTURES Of OLIVER TWIST; or, The Parish Boy's Progress. 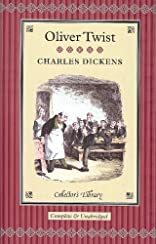 The Adventures of Oliver Twist; or the Parish Boys Progress was written by Charles Dickens. The Adventures of Oliver Twist; or the Parish Boys Progress was published by Chapman & Hall.